and cucumber with a spread of either pesto or hummus. - 5 Cinnamon Rolls cut into quarters, 20 pieces. 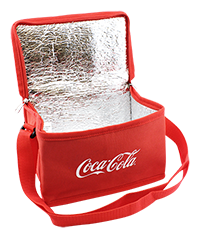 Free cooler bag with every 6 Canned Drinks Ordered. There will be a one time Collection Surcharge of S$15.00, if you order any Flask or Insulated Beverage Container. Items and delivery schedule slots are subject to availability. Enquire with us. 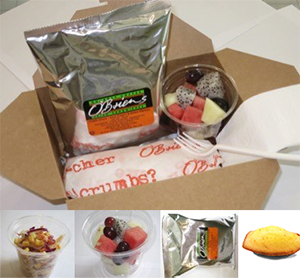 You will receive a order confirmation email from us within 24 hours of submission of catering fax order form on working days. Please call the support office at 6452 7572 to enquire if you did not receive the order confirmation. © 2015 O'Briens Irish Sandwich Cafe. All Rights Reserved.